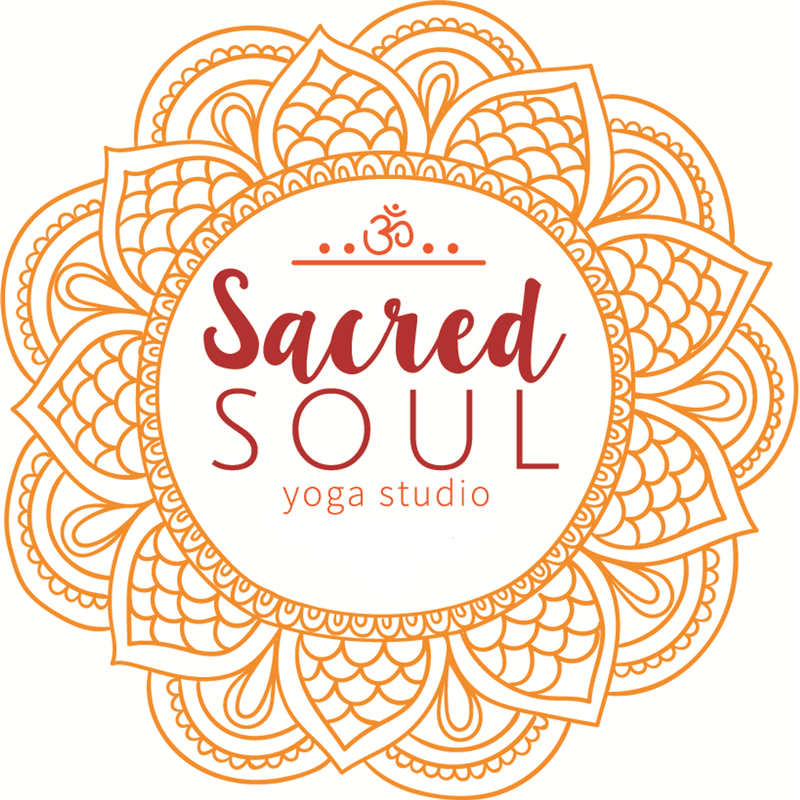 All of our instructors at Sacred Soul Yoga are certified, experienced and passionate about teaching yoga. Each instructor has been hand selected and brings something special to their teaching practice. We encourage you to try classes with all of our instructors as each one is unique and can offer you something new, keeping your practice ever expanding. Our main goal here is to guide you through an uplifting experience, keeping you safe and making yoga enjoyable and beneficial whatever your needs may be. Come and meet your teachers! Lia is the owner here at Sacred Soul Yoga. She began her interest in Yoga and Holistic Health after losing her mother to cancer at the age of 15. She believes in taking responsibility for our own health and well being and that through Yoga and preventative care we can lead a healthy and fulfilling lifestyle. We all have a purpose in life and if we don't treat our bodies well and dedicate time to our own happiness and higher self we will not be able achieve what we were meant to. Lia is a happily married wife and mother who is a true nurturer and looks to share the knowledge that she has acquired through experience and study . She is dedicated to her family and creating a peaceful and safe environment for people to receive the most out of their Yoga practice in an effort to help protect and heal body, mind and soul. Margie is a native of Virginia but has been living in Colleyville, Texas since 1997. After teaching high school for 33 years, Margie decided to continue her devotion to teaching by getting certified as a yoga instructor. Margie completed her 200 hour RYT certification from Lifetime Fitness Academy and her 300 hour RYT certification from Yoga Forte Teacher-Training School. Her training includes Hatha, Ashtanga, Vinyasa Flow, and Yin Yoga. 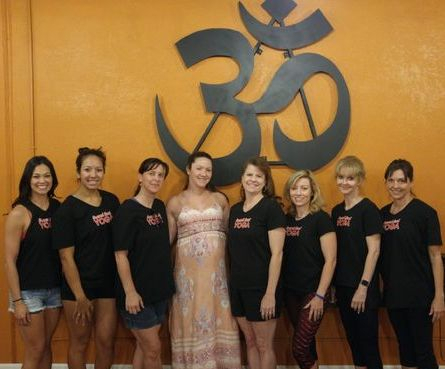 Margie is currently teaching yoga at Sacred Soul Yoga Studio in Hurst, Texas and at Northlake College in Irving, Texas where she teaches yoga to the O2 Aquatics Performance Swim Team as part of their dry land training. Margie’s passion is to share yoga with as many people as possible in a non-judgmental, non-competitive setting. Her philosophy is that if you can breathe, you can do yoga! In addition to her love for yoga, Margie’s other passions include working with her registered therapy dog, Bailey, for the Paws Across Texas (PAT) organization and spending time with family and friends. My journey with yoga and martial arts started as a young girl & has been an integral part of my life ever since. The principles & practices of yoga have supported me through several life challenges including six surgeries & continues to deepen my awareness of the mind, body, & spirit. I completed 200hr & 300hr RYT certifications with Kathy Ross & Yoga Forte & have been teaching a variety of classes at Sacred Soul since 2017. I am certified in trauma-informed yoga as well as Therapeutic Adaptive Yoga for Multiple Sclerosis. Since 2018, I have been studying Yoga Therapy with Joseph LePage at Kripalu Center for Yoga & Health. In 2019, I earned my 300hr Advanced Teacher of Therapeutic Yoga & I am currently in practicum with a mentor pursuing certification as a Professional Yoga Therapist (C-IAYT). I firmly believe that any one, any body can benefit from the practices of yoga- regardless of circumstances, health, or experience. As a former chronic pain patient, I continue to heal with yoga- it has brought me wholeness, taught me resilience, & how adapt to life’s changes on & off the mat. I hope to create a healing, accepting, & safe space in my classes that will inspire students to move, explore, & connect within themselves. My love for yoga began as a new mother in 1999. In a gym heading to the treadmill, I walked by the group fitness room and saw people lying on the floor in a dark room. Lacking in sleep like any new mom, It was love at first sight! I began taking yoga classes and quickly began to feel the pull to get more involved. By 2004 I started my first 200 RYT program and started teaching. I earned my 500 RYT in 2009. Still yearning for more, I earned another 200 RYT and 300 RYT from the Divine School of Yoga Therapy in 2012 and 2013 respectively, as well as my E-500 RYT designation in 2013. All the while, I was training with some of the big names in the yoga community such as Siva Rea, David Swenson, Sarah Powers, and Erich Schiffmann. I enjoy all styles of yoga as a student and as a teacher. One of my greatest joys is being a 200 RYT and 500 RYT teacher trainer. 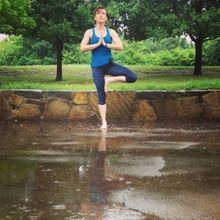 Amy began teaching yoga in 2006 after completing YogaFit ® teacher training programs. Over the years she has explored Hatha, Vinyasa, Kundalini, Yin and Restorative yoga practices. She has also completed numerous teacher trainings focusing on yoga and movement for seniors. 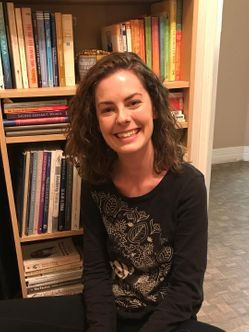 In 2014, Amy decided to deepen her own practice and studied at Alpha Omega Yoga in Dallas, TX, where she obtained her 200 Hour Yoga Alliance certification. She enjoys teaching students of varying ages (10-100 years old) and ability levels. Amy also holds a B.S. & M.S. in Psychology from Texas Christian University and is a faculty member at EA Young Academy. When she's not teaching, she spends time as an advocate for the social & emotional needs of gifted scholars and autism awareness. She also enjoys spending time with her family and cheering on the TCU Horn Frogs. Sumom was introduced to yoga to compliment her running. While running marathons, she needed more core strength to help her form to prevent injury. Immediately upon taking her first few classes, she was amazed at how yoga combined strength, flexibility and cardio with a centering calmness. Connecting to her body was always important but she soon realized that yoga took it one step further by intersecting the mind and body with the soul. She thanks her teachers, James Kigar of Yoga South and Carol Diamond of Delray Yoga Shala, for teaching her the beauty of the practice. In 2017, she completed her RYT-200 hour certification at the Dallas Yoga Center, with a focus on Vinyasa, Ashtanga, and Yin. While her day job is analytics and finance, her passion is career coaching and teaching yoga, where she helps others break out of their “stuck-ness” to create the change they want and need in realizing their possibilities. Teaching Prenatal Yoga is an opportunity to build confidence in women by bringing self awareness to their bodies. By encouraging women to trust the wisdom of their bodies and make decisions based on their individual needs, women find their true inner strength. 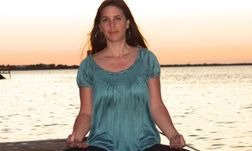 I am a Yoga Alliance certified Registered Prenatal Yoga Teacher. I have been teaching prenatal yoga for over six years. I have really come to appreciate the courage and empowerment women discover in themselves through their yoga practice. I am also a Certified Doula (DONA) experiencing so much joy in teaching mothers and birth partners how to create a calming and gentle birth experience. In 2015, I earned my certification as a Certified Childbirth Educator from the Academy of Childbirth Educators. I teach classes on mindful childbirth education, partners in pregnancy and VBAC education. My prenatal classes emphasize strengthening the muscles while bringing more flexibility into the body without overworking it. Through a gentle practice we focus on the connection of breath and body awareness, strengthening pelvic floor and uterine muscles as well as building strength throughout the entire body. My philosophy is to allow students to feel calm, peaceful, accepted and supported during their practice. I only ask that students never take themselves too seriously, never push into pain or discomfort, always trust the wisdom of their intuition and always remember to practice kindness and playfulness on their mat and in their daily lives. It is my hope, as a Prenatal Yoga Teacher, to be a valuable educational resource for women in pregnancy. My goal is to build a sense of community for these women where they have resources and educational tools, guidance and support from the beginning of their pregnancy and throughout their journey into parenthood! Melissa began her yoga journey, like so many others, in a gym. Trying to combat the effects of stress, a lifetime with Type 1 diabetes, and years of negative self-talk that resulted in weight gain and depression, she took her first yoga class. She wasn't particularly flexible, strong, nor balanced, and her mind was far from quiet and peaceful, but she could see the potential. Melissa believes yoga is a process and a mechanism for profound physical, mental, and spiritual transformation. She started her training with the YogaFit format of instruction, receiving multiple certifications along the way, including a focus on Yoga for Mental Health. During that time, she studied under masters in the fields of Pilates, cardio and strength training, and Thai Yoga while teaching at various local gyms. In 2015, She earned her 200hr Yoga Alliance certification through Arpita Shah and Om Yoga Journey. Today, she teaches various styles of yoga, Hatha, Gentle, Yin, Restorative, Vinyasa, and Yoga for Depression and Anxiety, Pilates, and occasionally, Belly Dance. Melissa loves to share the joy, strength, health, and acceptance she's found on the mat and off with others, and help her students discover their own transformative process through yoga. She also has a M.A. 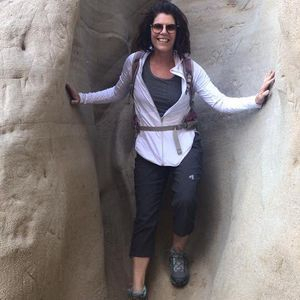 in Anthropology, lives with her beloved husband, daughter, and dogs, campaigns for diabetes advocacy, volunteers at her daughter's school, and adores food, travel, and friends. Lori took her first yoga class 30 years ago, giggling through the entire experience! More than 15 years later she took her second one, and she has had a regular practice since then. While initially her interest was in the physical benefits that yoga provided, she soon realized that there was so much more that she got from yoga. Over that time she recognized the benefits her mind and soul received from her asana and meditation practice, and she wanted to further explore those benefits and more. Thus began her RYT 200 teacher training with Arpita Shah of Om Yoga Journey. Lori’s passion to help others led her to former careers in the areas of education and social work. It is that passion to help others that brings her to be a part of the yoga journey of others. Maria began practicing yoga in 2011. She thought it would be a great way to force herself to stretch after long-distance runs. What she thought was just going to be an easy way to relax her muscles, quickly grew into so much more. Gentle classes led to increased flexibility which fueled her curiosity to try a vinyasa class. The sweatiness of the vinyasa class led to increased strength and stamina, which gave her confidence to explore all forms of physical fitness whether it be, triathlons, cross fit, barre, or spin classes. Although every form of physical activity gave her a major adrenaline rush, she quickly realized that yoga was the only thing that made her feel at peace internally. Whenever she strayed from her yoga practice, she noticed she lacked patience with herself and with others. Yoga could definitely workout her physical body, but it was a much bigger workout for her soul. It gifted her the ability to understand and accept herself and every single beautiful flaw. Through her yoga practice, she has learned to view the world differently and approach life with curiosity and playfulness. 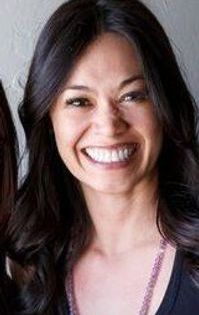 Her goals for teaching yoga are two-fold: (1) To welcome and embrace those new to yoga and encourage them in their journey to find strength, peace and internal happiness; and (2) Journey alongside those who already have a strong yoga practice and remind them to remain curious and playful in both life and asana practice. 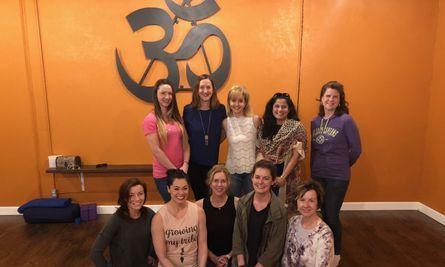 Maria received her 200 RYT Om Yoga Journey in Southlake, Texas led by Arpita Shah. When not on the mat, she run a small, boutique immigration law practice and enjoys an active lifestyle with her husband and two rescue fur babies, Otis and Buddy.